Being able to go from learning notes and rhythms to producing meaningful music instills in your child a sense of accomplishment and self-confidence. Hand, eye, body posture and thought all working together are the ingredients of playing an instrument. These coordination skills transfer to many other aspects of life. Every child wants to be part of a group. Theory and musicianship classes, in addition to group performances and recitals provide just such unique opportunities. Learning to perceive and derive meaning from musical sounds sharpens your child's ability to comprehend abstractions. Learning the basics of musical language and interpreting a work through performance teaches your child the ability to understand a problem and reach an appropriate solution. Learning all of the basics of music and applying them correctly takes perception and discipline. The words beauty, serenity and excitement come to life with each musical experience. These feelings help every child appreciate all forms of the arts. When your child learns to analyze a musical work from all perspectives or to improvise within a certain musical style, both inductive and deductive reasoning grows stronger. Music offers the ability to cultivate our feelings and thoughts through nonverbal means and to respond to these nonverbal thoughts in others. 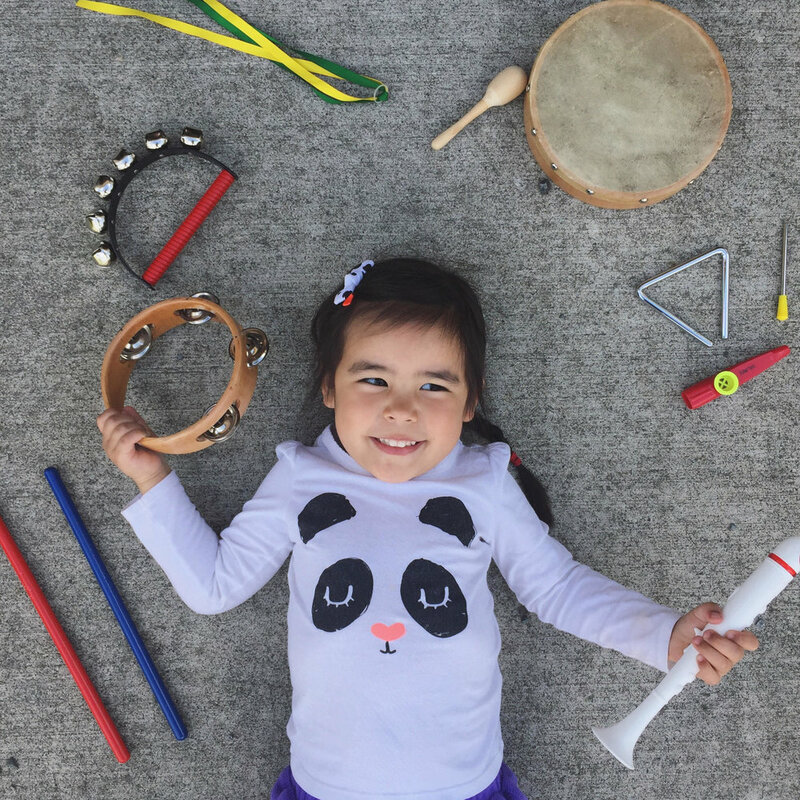 Your child learns to classify by learning to identify different types and styles of music and to recognize how cultures use music for personal expression. Learning to comprehend, consider and evaluate in music can help your child make informed decisions and uphold value judgments in other aspects of life. Learning to read, write and interpret musical notation strengthens the use of other symbol systems such as mathematics and language. Researchers find arts training not only raises scholastic performance, but also improves student behavior and attitude. In Rhode Island, researchers studied eight public school first grade classes. Half of the classes became "test arts" groups, receiving ongoing music and visual arts training. In kindergarten, this group had lagged behind in scholastic performance. After seven months, the students were given a standardized test. The "test arts" group had caught up to their fellow students in reading and surpassed their classmates in math by 22%. In the second year of the project, the arts students widened this margin even further. Students were also evaluated on attitude and behavior. Classroom teachers noted improvement in these areas also. Taking piano lessons and using math puzzle software significantly improves math skills of elementary school children. Second-grade students were given four months of piano keyboard training, as well as time using newly designed math software. The group scored over 27% higher on proportional math and fractions tests than children who used only the math software. Music involves ratios, fractions, proportions and thinking in space and time. The software - called Spatial-Temporal Animation Reasoning (STAR) - allows children to solve geometric and math puzzles that boost their ability to manipulate shapes in their minds. The findings are significant because a grasp of proportional math and fractions is a prerequisite to math at higher levels, and children who do not master these areas of math cannot understand more advanced math critical to high-tech fields. In both verbal and math scores, high school student-musicians outpace peers. The College Entrance Examination Board reports, "Students of the arts continue to outperform their non-arts peers on the SAT(R). In 1998, SAT takers with coursework/experience in music performance scored 52 points higher on the verbal portion of the test and 37 points higher on the math portion than students with no coursework/experience in the arts." Longer arts study proved to parlay into even higher test scores. The 1996 report observed, "Those who studied the arts four or more years scored 59 points higher and 41 points higher on the verbal and math portions respectively than students with no coursework or experience in the arts." Reference: Profile of SAT and Achievement Test Takers, The College Board, compiled by Music Educators National Conference, 1998, 1996. College-age musicians emotionally healthier than non-musician counterparts. According to a study conducted at the University of Texas, college-aged music students have fewer problems with alcohol, are emotionally healthier, and concentrate better than their non-musical counterparts. "This study is interesting on many levels," commented Dr. Kris Chesky, one of the study's researchers. "First of all, it flies in the face of all the stereotypes out there about musicians. It also seems to support the assertion that studying music helps people learn to concentrate." The study looked at 362 students who were in their first semester of college. They were given three tests, measuring performance anxiety, emotional concerns and alcohol related problems. In addition to having fewer battles with the bottle, researchers also noted that the musicians seemed to have surer footing when facing tests.